Who Are The Bravest Defenders Of Our Planet? Chances Are You've Never Heard Of Them : Goats and Soda Why the world's poorest people are some of the most effective — and vulnerable — environmental activists. 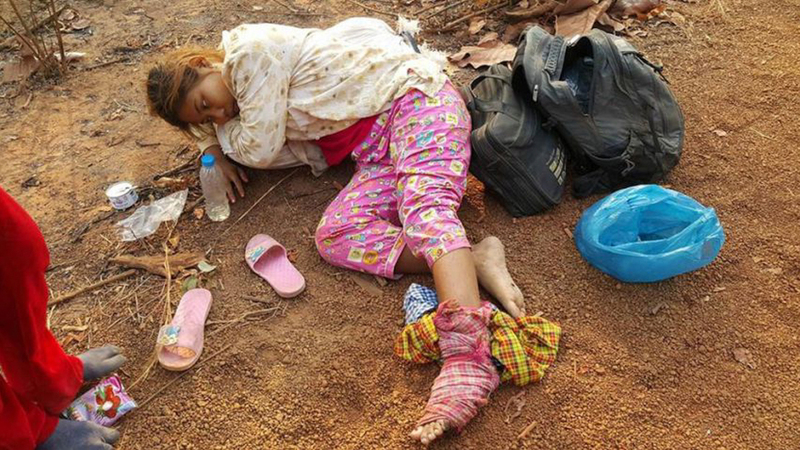 Phan Sopheak, a rice farmer in Cambodia, rests shortly after a man wielding an axe attacked her. She had been patrolling the Prey Lang forest around her village with a volunteer group that is trying to stop illegal logging.